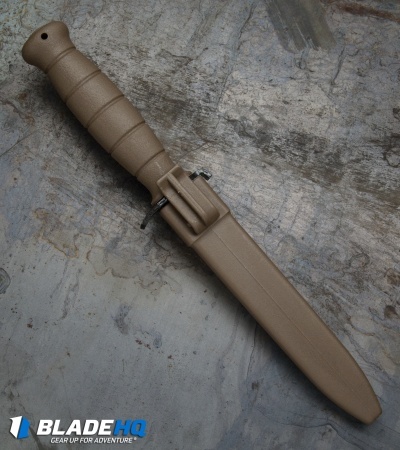 The Glock Field Fixed Blade Knife is the perfect addition to any tool kit, field pack or belt. 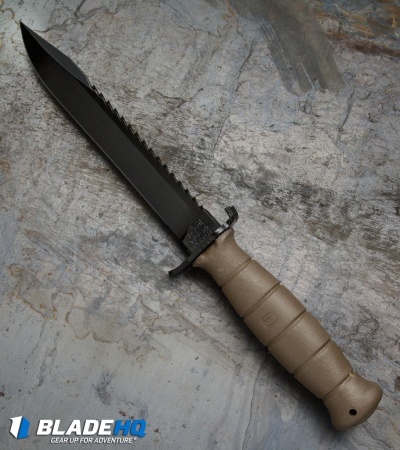 The Glock Field Knife features a tough full tang carbon steel clip point blade with a integrated saw on its upper edge and a molded polymer hilt. 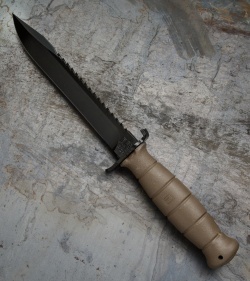 This Field knife is tough enough to handle any task, and perfectly balanced for hand-to-hand combat. The blade is phosphate treated and coated to prevent corrosion to give you the endurance and dependability you rely on from Glock. 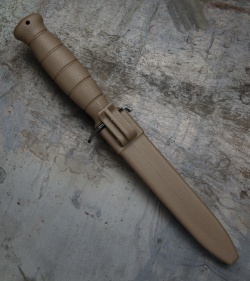 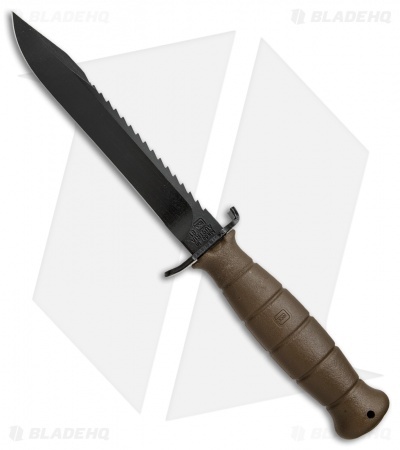 Comes with a one-piece polymer sheath that keeps your knife secure during times of extreme activity. This model has a brown polymer handle and a matching brown sheath.